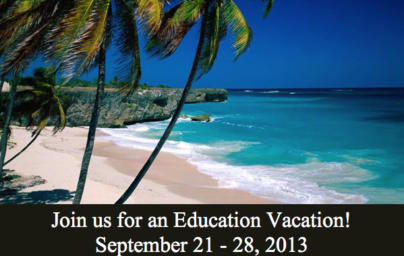 September 21 – 28, 2013! 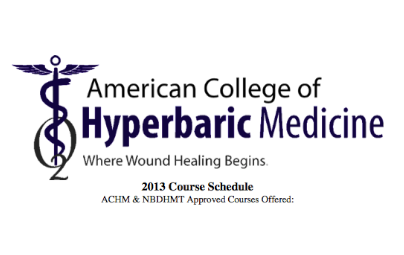 All of our courses are ACHM Approved! 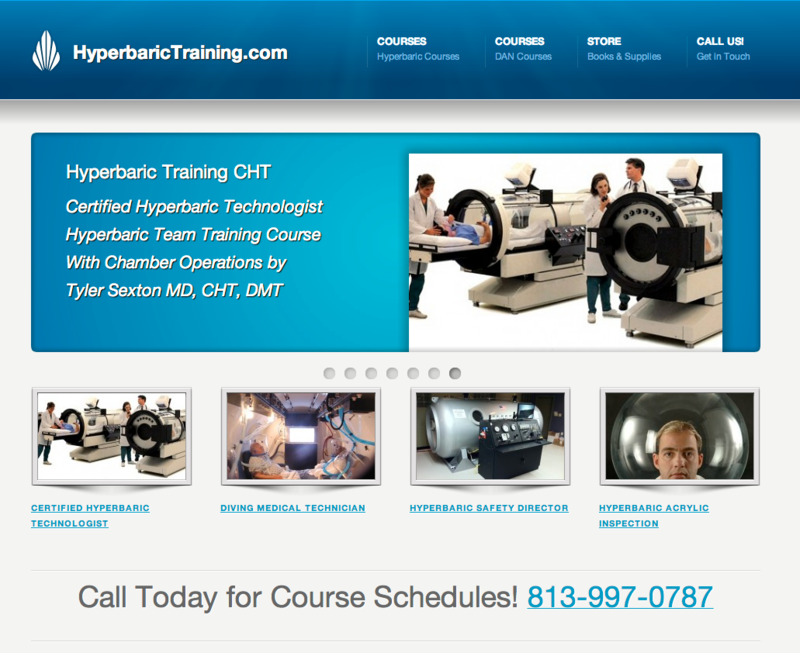 This course has been reviewed and approved by The National Board of Diving & Hyperbaric Medical Technology (NBDHMT) meeting the requirements as an introductory course in hyperbaric medicine. Commercial, professional and scientific divers often find themselves at work in medical and geographic isolation. Long distances and large bodies of water can complicate medical evacuation of injured divers. This process may be further complicated by access difficulties, such as no runway and limited helicopter landing capabilities. Further, decompression accidents require immediate recompression. Delays in definitive treatment can result in fatal outcome, permanent neurological injury, or other career-ending complications. 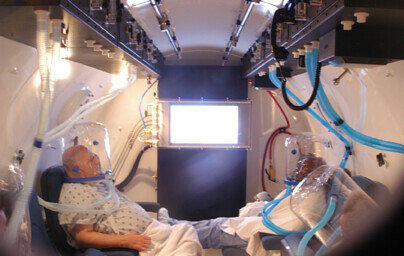 It is common to find hyperbaric recompression chambers located at the working divers site of operation. Chambers can be aboard offshore drilling rigs, on oil and gas production platform support vessels, on research vessels and at shore-based island marine science facilities. 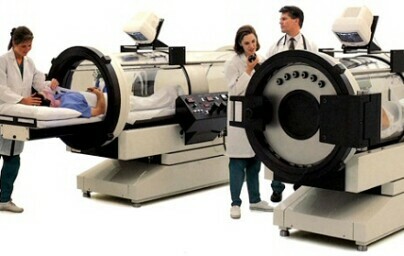 Treatment guidance will be directed medically by a contracted physician trained in diving medicine. 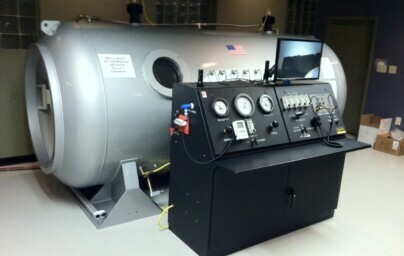 However, it is uncommon for this physician to be in close proximity of the chamber and ready to evaluate the diver and accompany them during treatment. Rather, they may be many hundred to several thousand miles away. To be therapeutically effective, therefore, an on-scene specialized medial presence is essential. A certified DMT, essentially a diving paramedic, represents the best option. Specialized training is necessary for these medics to function effectively as the eyes, hands and ears of the diving medicine physician. Training is extended to invasive skills in order to administer physician ordered adjunctive interventions and manage complications related to decompression insults and barotrauma. The DMT training program was introduced to address this unique need. 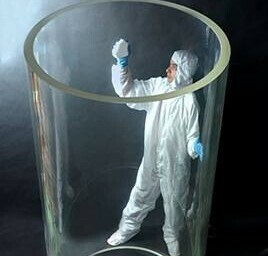 Also covered are the necessary invasive skills that permit optimal medical management. 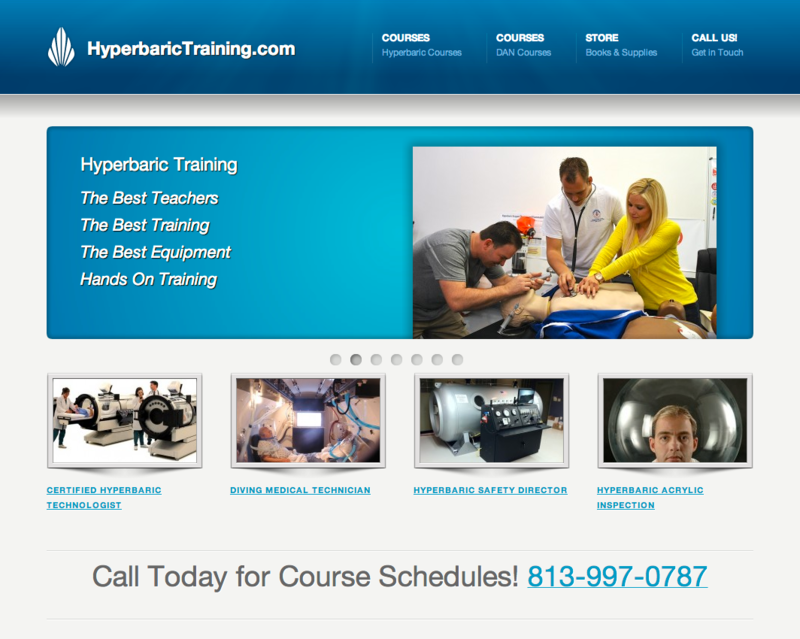 Additional course content includes decompression procedures, chamber operations, and marine life injuries. Region-specific topics such as cold water diving and tropical diving issues are also covered. 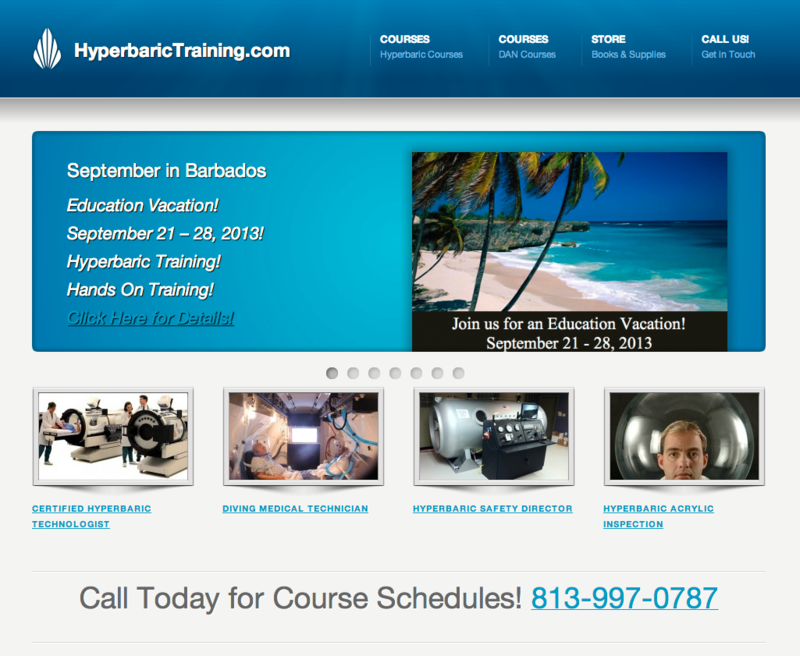 Caribbean Hyperbaric Medicine’s Diving and Marine Emergency Medical Training course has been reviewed and approved by the National Board of Diving and Hyperbaric Technologies for 40 Cat A CEUs. This course is approved until December 31st 2014.